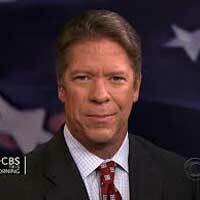 Major Garrett, the chief White House correspondent for CBS News, will be interviewed in front of an audience in the Winifred Moore Auditorium at 7 p.m. Oct. 19. Garrett is promoting his new book about President Donald Trump. The interview will be recorded and broadcast on Charlie Brennan’s KMOX Radio program at a later date. Garrett graduated in 1984 from the University of Missouri with a Bachelor of Journalism and a Bachelor of Science in Political Science. In the 1990s, Garrett was a senior editor and congressional correspondent for U.S. News & World Report and a congressional reporter for The Washington Times before joining CNN's White House team in early 2000. He joined FOX News in 2002 as a general assignment reporter. At FOX, he covered the 2004 election and served as the network's congressional correspondent. He left FOX in 2010 to join the National Journal and then announced in 2012 that he was hired by CBS as its chief White House correspondent. Garrett also currently hosts CBS’ “The Takeout Podcast,” a weekly show about politics, policy and pop culture. Garrett will sign books during the Winifred Moore event. Admission is free, but reservations are required by emailing at cwbrennan@kmox.com.